Sri Mrinalini Mata will be forever remembered as one of Paramahansaji’s foremost direct disciples. She was among the select group personally trained by him to carry on the work of Yogoda Satsanga Society of India /Self-Realization Fellowship after his passing, and became the fourth president of YSS/SRF in 2011. She succeeded Sri Daya Mata, who served in this role from 1955 until her passing in 2010. 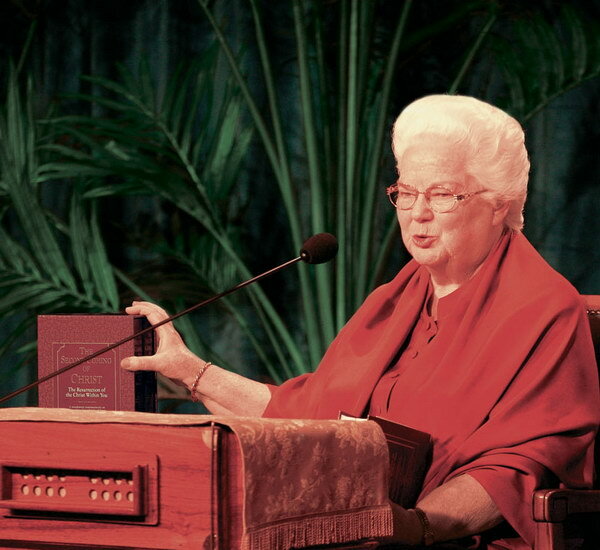 She also served as editor-in-chief of YSS/SRF publications, responsible for bringing to publication the teachings of Paramahansa Yogananda—a role for which she was trained by Paramahansaji himself and which she held until the end of her life. 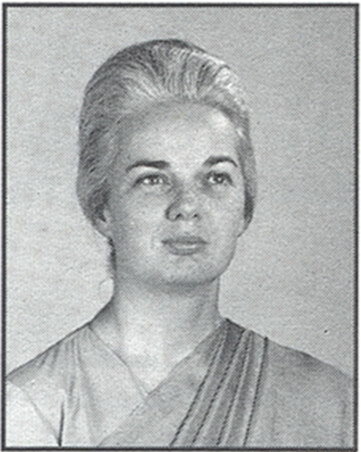 Prior to assuming the presidency, Mrinalini Mataji served as SRF vice president for forty-five years, closely assisting Sri Daya Mata in the overall guidance of the YSS/SRF monastic order and overseeing the numerous activities and services the society provides each year. Sri Mrinalini Mata was born in 1931 in Wichita, Kansas. Known in her pre-monastic life as Merna Brown, she spent a good portion of her youth in southern California. Described by others as a deeply religious and shy child, the young Merna first met Paramahansaji at the San Diego Temple of SRF, when she was fourteen years old. Her mother had begun attending Paramahansaji’s services at the San Diego Temple after her older daughter became interested in the Guru’s teachings, and had several personal interviews with the Guru. Paramahansaji took a deep interest in the future Mrinalini Mata even before meeting her, and encouraged her mother to bring her to the temple. After several entreaties, she was able to convince Mrinalini Mata to accompany her to one of the Sunday services. Out of a sense of loyalty to the church in which she had been raised, Mrinalini Mata had been reluctant to attend a services of another religion, but she eventually agreed to visit the SRF Temple after her mother explained that Paramahansaji’s teachings beautifully reflected the same philosophy as Christ taught. 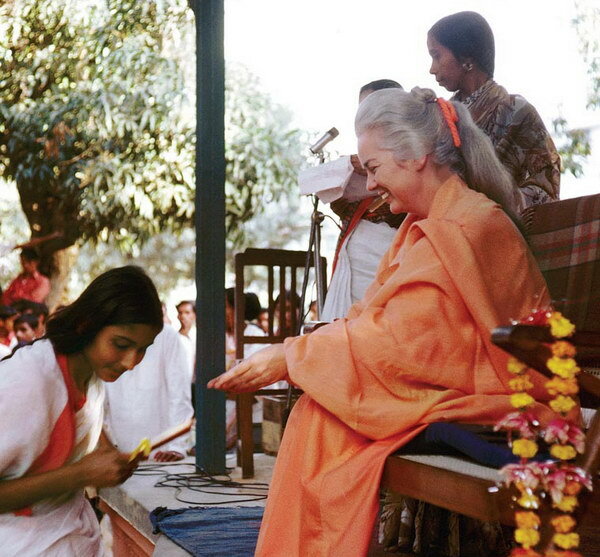 Over the years, Sri Mrinalini Mata made six visits to India to assist Sri Daya Mata in guiding the growth and work of Paramahansa Yogananda’s Yogoda Satsanga Society. She spent much time in the YSS ashrams and lectured on his teachings in principal cities of the subcontinent. 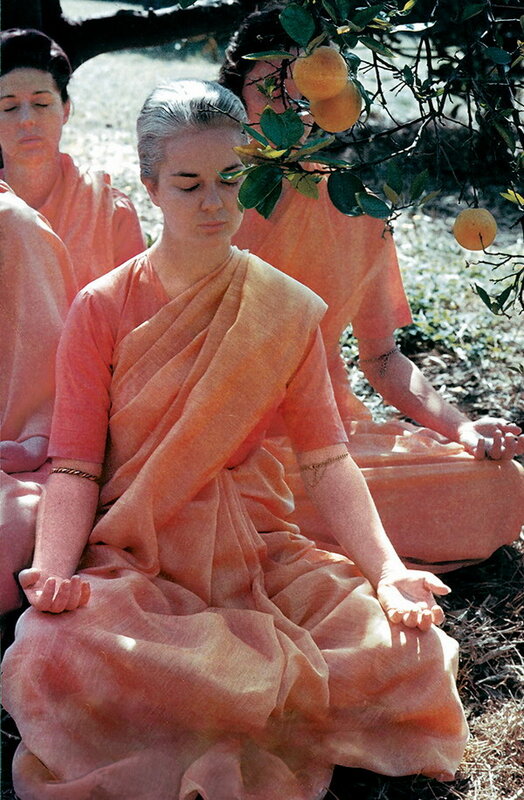 Her talks on a variety of subjects, including on the guru-disciple relationship, have been published in Yogoda Satsanga magazine, in book form, and in audio and video recordings. 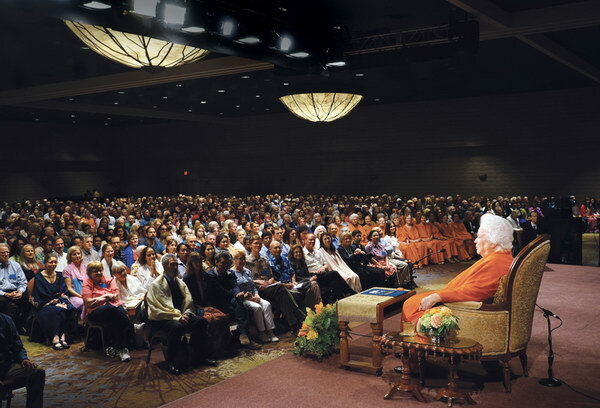 Mrinalini Mataji’s periodic letters of counsel and inspiration to the membership, along with her unique combination of profound wisdom, compassion, and humor, have earned her the loving reverence and profound gratitude of YSS/SRF members throughout the world. 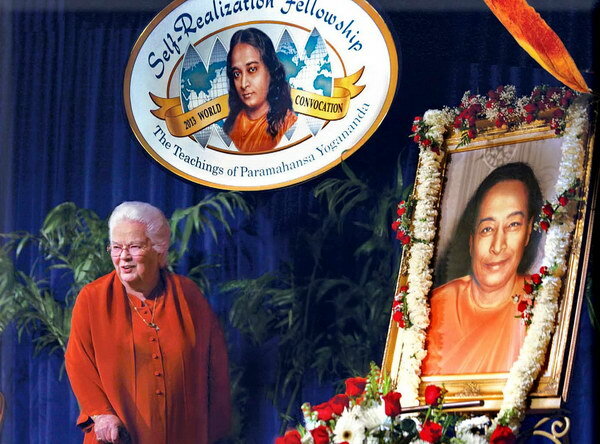 YSS/SRF members and the world at large will be forever blessed by the priceless legacy of God-inspired wisdom and truth—the teachings of Paramahansa Yogananda—that have been brought into publication through Mrinalini Mata’s many decades of selfless and divinely attuned service. As the years go by, the enormous contribution she has made by carrying out the Guru’s wishes in this way will be an enduring monument to her life of inner and outer divine achievement.